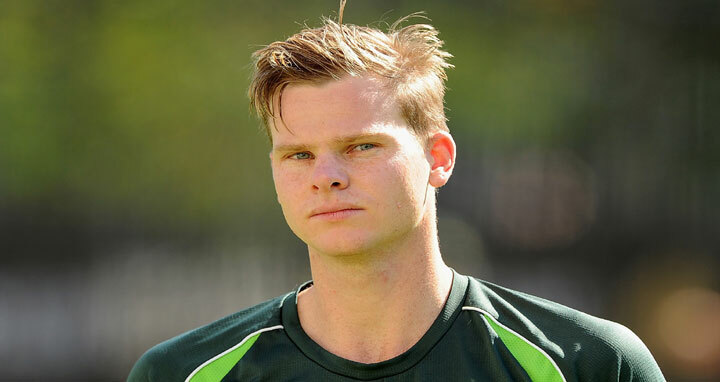 Dhaka, 29 Mar, Abnews: Distraught former Australian cricket captain Steve Smith accepted full responsibility Thursday for a ball-tampering scandal that has shaken the sport, breaking down in tears while denying it had ever happened before. Cricket Australia have banned Smith and David Warner from all international and domestic cricket for a year while opening batsman Cameron Bancroft was exiled for nine months over attempted cheating during the third Test in South Africa. Smith, a golden boy compared to Donald Bradman for his batting exploits, was a broken man at an emotional press conference on his arrival back in Sydney from Johannesburg. Smith’s fall from grace has been dramatic, and fast. Warner, a divisive figure who was charged with developing the plot and instructing Bancroft to carry it out, also broke his silence to say sorry and admit his actions had been “a stain on the game”. “Mistakes have been made which have damaged cricket,” he told his 1.6 million Instagram followers as he made his way back to Sydney. “I apologise for my part and take responsibility for it. “It’s a stain on the game we all love and I have loved since I was a boy,” he added. The financial cost for the players is also growing with sporting goods company ASICS ending its relationship with Warner and Bancroft. Electronics giant LG axed Warner on Wednesday, while Weet-Bix and Commonwealth Bank dumped Smith. An emotional Bancroft said he was ashamed of himself when he arrived back in Perth. “All I can do in the short term is ask for forgiveness,” he said, while denying he had ever tampered with a ball before, in comments echoed by Smith. “I have made a big mistake for allowing this to happen,” said Smith. Smith—the world’s number one Test batsman—was charged with knowledge of the potential ball-altering plan, while Warner was charged with developing the plot and instructing Bancroft to carry it out. CA said Bancroft, who has played just eight Tests, had illegally attempted to “artificially alter the condition of the ball using sandpaper”. It added that Smith had continued to try to cover up the cheating plot by issuing “misleading public comments regarding the nature, extent and participants of the plan”. Lehmann remains in charge because Cricket Australia said he was unaware of what was going on.